He was the architect of an offence that would send the Eskimos to six Grey Cup games in a seven-year span in the 1970’s. 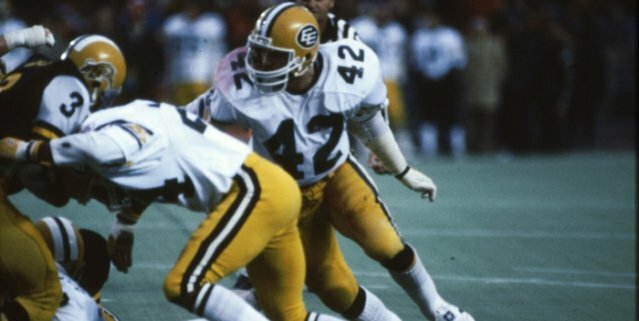 He was the backbone of an Eskimo defence that would become a CFL dynasty. On a team full of stars, in a decade full of stars, perhaps none shone brighter than Tom Wilkinson and Dan Kepley. Wilkinson (1972-81) played for the Edmonton Eskimos for ten seasons and never missed a game. He has completed the second most passes in club history with 1382 and trails only current Eskimo quarterback Ricky Ray. He is fourth in all-time passing yards with 18,684 and fourth in touchdown passes with 129. Wilkinson was the Western nominee for Most Outstanding Player in both 1974 and 1978 and took home the award in ’74. He was a CFL all-star three times (1974, ’78 and ’79). The University of Wyoming pivot played for the Toronto Rifles of the defunct Continental Football League for two seasons (1966 and ’67) before stints with Toronto (1967-70) and B.C. (1971) in the CFL. Wilkinson joined the Eskimos in 1972 and would spend the rest of his career with the Green and Gold. Wilkinson led the Eskimos to six Grey Cup appearances in the 70’s, winning three times (1975, ’78 and ’79). “In the early 70’s things weren’t so good but getting Bruce Lemmerman really turned things around,” says Wilkinson. Wilkinson was the Most Valuable Player in the 1978 Grey Cup as he led the Eskimos to a 20-13 victory over the Montreal Alouettes. In ‘79 both he and Warren Moon threw touchdown passes as the Eskimos beat the Als 17-9. He finished his career with a total of five Grey Cup rings as the Eskimos won again in both 1980 and ’81. Wilkinson was the first Edmonton player immortalized on the Eskimo “Wall of Honour” at Commonwealth Stadium in 1982 and was inducted into the Canadian Football Hall of Fame in 1987. Now 67 Wilkinson lives in Sherwood Park, a suburb of Edmonton, and keeps busy with his wife, three children and four grandkids. He is involved in the Eskimos Alumni Association and helps former players through golf tournaments and other fund raising initiatives. He and anywhere from 25-40 other ex-Eskimos attend most Edmonton home games. Arguably the finest linebacker of his era, Dan Kepley (1975-84) joined the Eskimos following a tryout with the Dallas Cowboys in 1975. The East Carolina University graduate went on to become a Canadian Football Hall of Famer and spent his entire ten year career with Edmonton. He was named the CFL’s Most Outstanding Defensive Player three times in a five year span (1977, ’80, and ’81). Kepley was on the winning side of a Grey Cup team six times as a player with the Eskimos (1975, 1978-82) and twice as a coach (2003 and ’05). Kepley played in four Grey Cups in the seventies, winning three times. Yet it is the 1977 game that the Eskimos lost 41-6 to Montreal that he remembers most. “That’s the one that stands out,” says Kepley. Following his retirement Kepley worked as a football analyst on radio and television for the Eskimos. He went to CBC as a colour commentator and moved to Philadelphia to work with ESPN on College, Arena Football and CFL games. 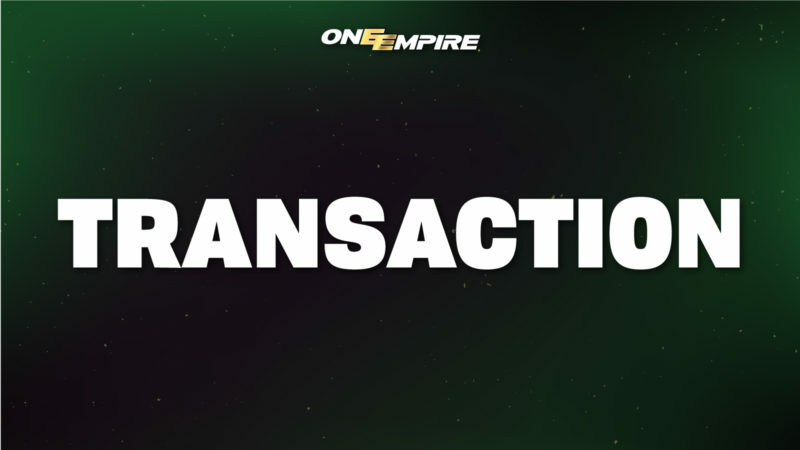 Kepley returned to Edmonton in 199 and re-joined the Eskimos in 2002. He has been with Edmonton ever since and is currently the linebackers coach. 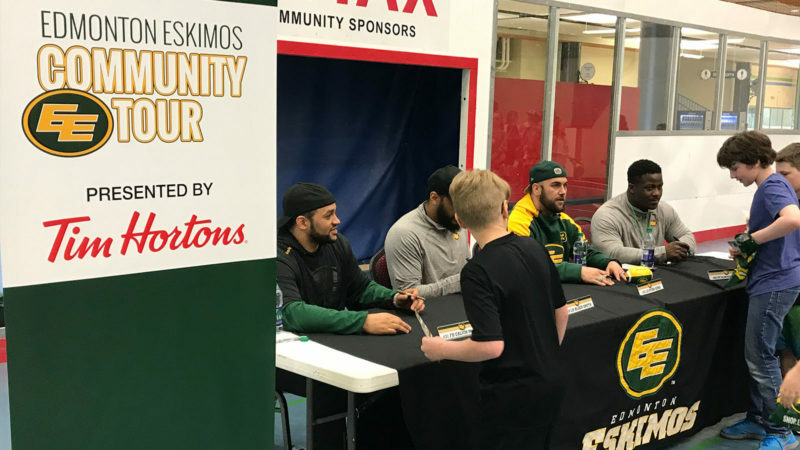 When he’s not on the gridiron, Kepley spends his time playing golf and helping out with various community events and fundraisers in Edmonton.